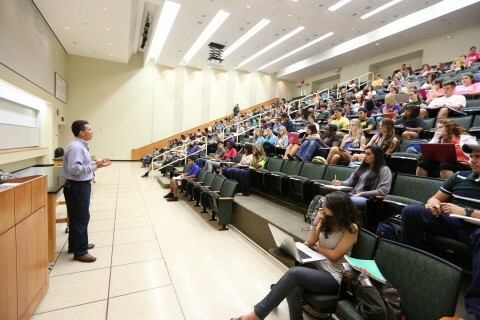 Students who are designated prehealth are strongly encouraged to attend one of the many Prehealth Workshops offered each semester until they are familiar with the prerequisite coursework, science sequencing, health professional school application process, and necessary professional development. Our office will post workshop dates on Blackboard as they are scheduled. Advising Workshops: This workshop focuses on group advisement for coursework and course load. Committee Workshops: A brief overview of our committee process to attain a letter of recommendation/support for a student's application to medical, dental, and PA programs. Leadership Workshops (for student organization officers only): A workshop that focuses on leadership, proper policy, and peer mentoring for prehealth student organization officers. Health Profession School Application Process Workshops: This workshop will discuss the multiple application services that need to be used to start and complete an application to medical and dental schools. Professional Statement Workshops: This workshop will discuss the development of the professional statement that will be necessary for the medical/dental school application. Health Profession School Interview Workshop: This workshop will discuss the typical interview format utilized by medical/dental schools in their application process.